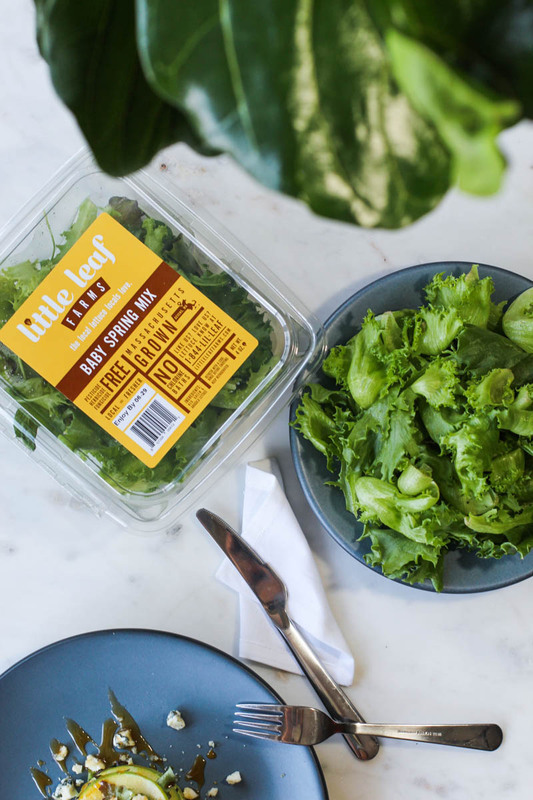 From salads to toppings for burgers and tacos, we can't get enough Little Leaf Farms! 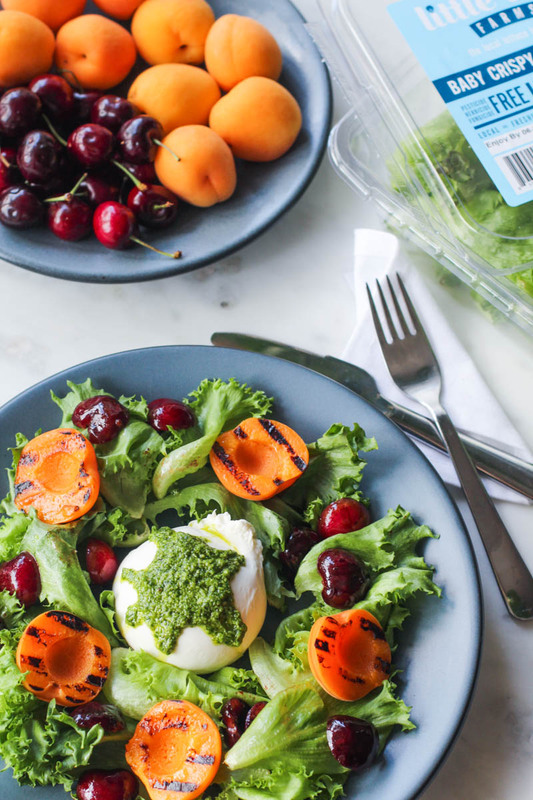 I crafted up a few fresh summer recipes using Little Leaf's Baby Spring Mix and Baby Crispy Green Leaf lettuce; a Stacked apple salad and a grilled stone fruit and burrata salad thats perfect for both grilling season and these hot summer days. Make sure to let me know how you like them if you try them! Wash and dry all produce. Use a mandolin to thinly slice the apple, crumble or slice your cheese. 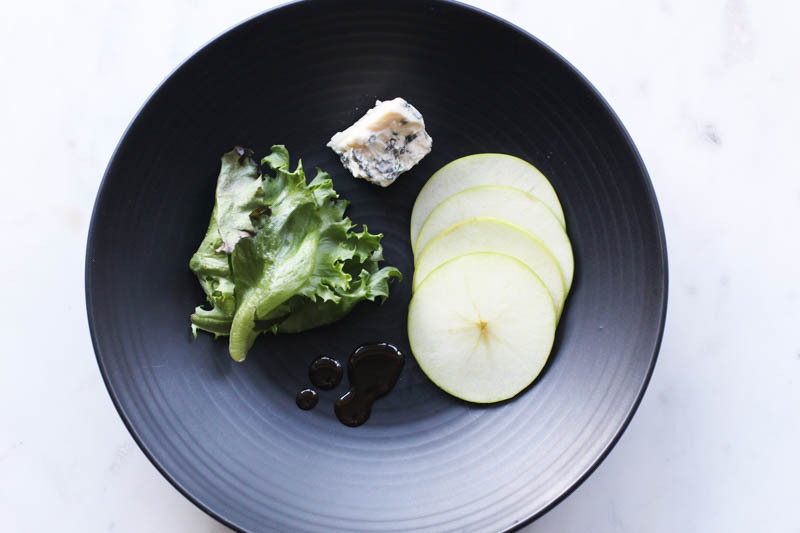 Assemble your salad stacking apple slices, Little Leaf Farms Baby Spring Mix, and cheese, and repeat 2-4 times to your preference. Finish with a drizzle of hot honey. I love this recipe because it's so simple, looks really impressive on the plate, and can easily be converted to a flavorful bite-sized app for parties and cookouts. 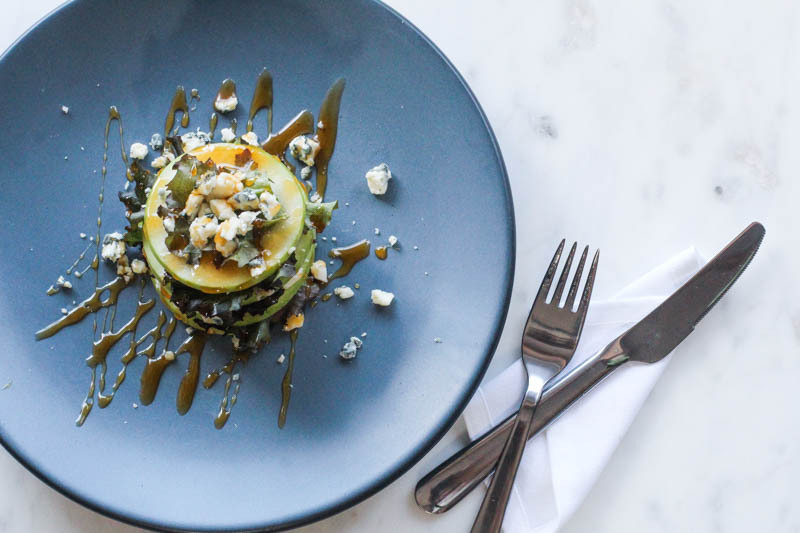 Swap the gorgonzola for Brie, or your cheese of choice, and if spice isn't your thing, clover honey adds a sweet but floral flavor to the dish. Adding walnuts and dried cranberries also makes for a deconstructed twist on the classic Waldorf salad. Preheat broiler to low and toast pine nuts for 2-3 minutes. (Watch your nuts, they'll burn easily!) 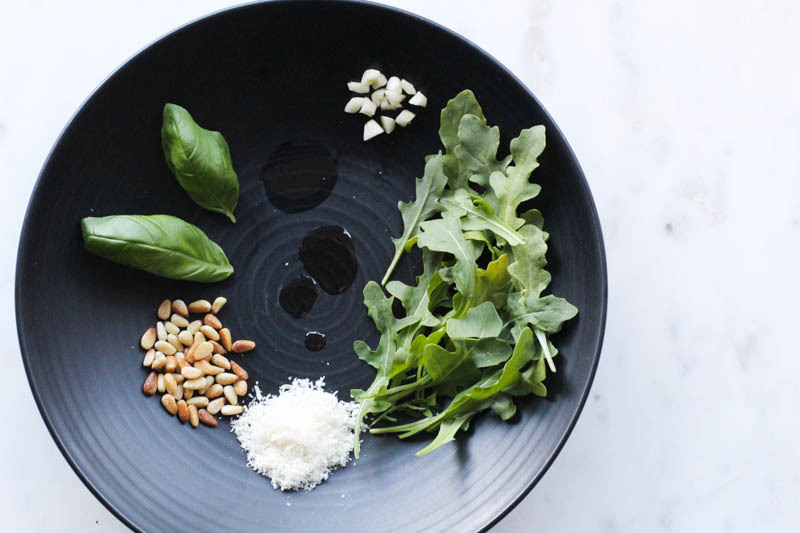 Put Arugula, toasted pine nuts, and shredded Parmesan into food processor or blender and begin blending on medium. Add olive oil to the blender slowly until smooth. Season to taste. Admittedly, I didn't measure anything when I crafted this recipe; pesto is so simple to make and is a great place to start experimenting with cooking since it's so inexact. 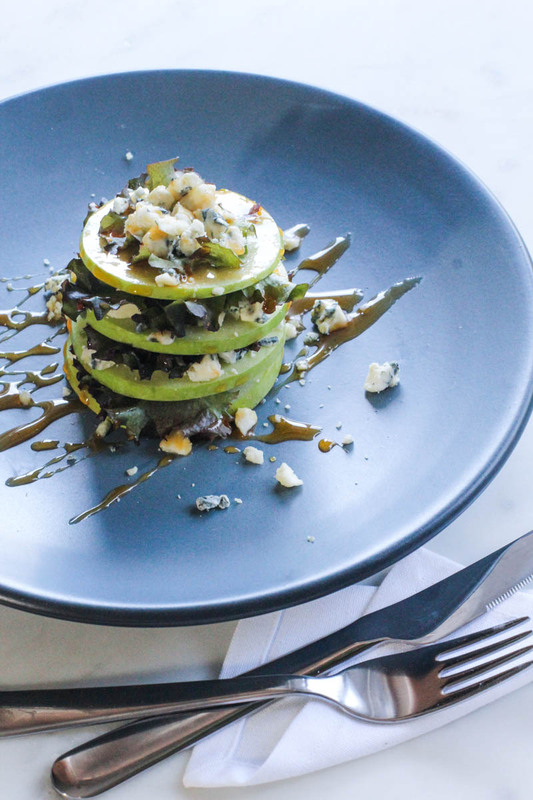 The quality of your cheese and pine nuts and freshness of your greens will all affect the flavor of your pesto. Rinse all produce with cool water and lightly pat dry. Cut stone fruit in half and remove pits. I used apricots and cherries, but any other stone fruit will do; peaches, nectaries, plums, whatever is fresh and in season. Grill the stone fruit until it has prominent grill marks (or use a grill pan in the oven if you're an apartment dweller like I am); The deeper the char, the deeper the flavor. 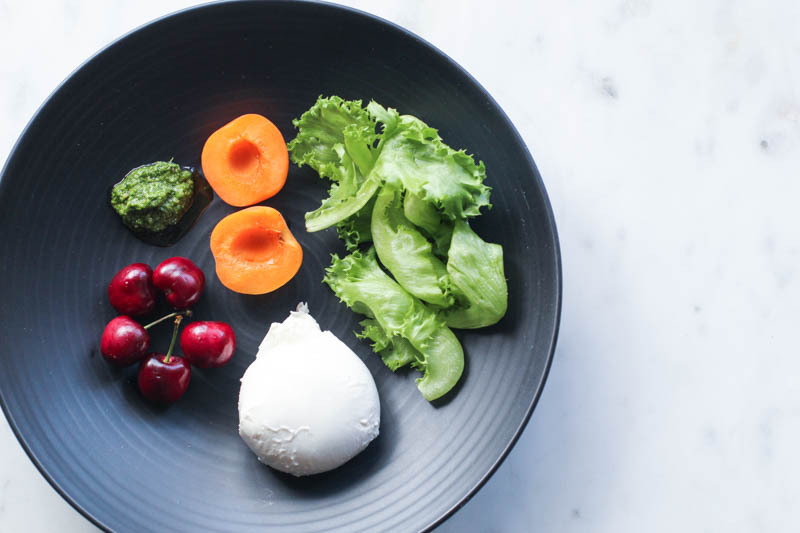 Plate with Little Leaf Farms Baby Crispy Green Leaf Lettuce lightly dressed in olive oil and vinegar (any vinegar you have on hand will work), place burrata in the center of the salad, and top with stone fruit. 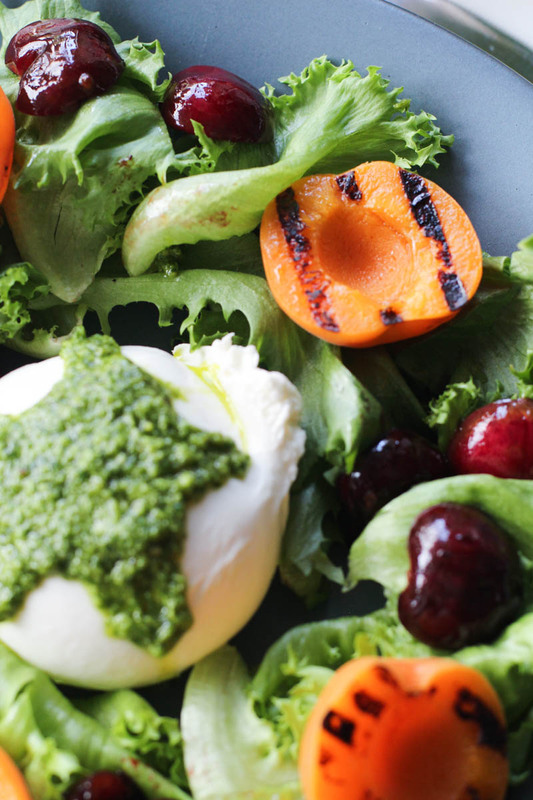 Dress your burrata with a generous spoonful of pesto and serve. Bon Apetit, and happy summer! This post was created in collaboration with Little Leaf Farms. All content and opinions expressed are my own, thanks for supporting those who support Style-Wire.com!